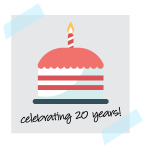 You can also subscribe to the blog to view our 20-year series! In recognition of this huge milestone, we invite YOU to celebrate with us! We’d love for you to send a photo of yourself holding up a sign that says “Happy 20th” or “Congratulations on 20,” etc. 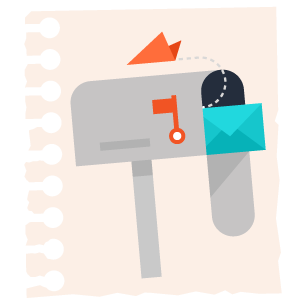 by Monday, Aug. 28 to socialmedia@flvs.net. Your photo might be shared on social media or displayed during a slideshow presentation for FLVS staff. By sending your photo, you are giving permission for FLVS to use your photo; first name only will be used if on social media. Also contributing to our excitement this year is the fact that all Florida elementary students are now able to enroll in FLVS. 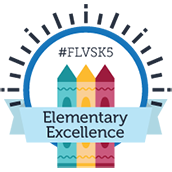 Thanks to modified state eligibility requirements, FLVS Flex Elementary can now serve all students in Kindergarten-5th grade. Families of registered students can join our FLVS Flex Elementary Facebook group to help connect their education and home life. FLVS Flex Elementary school began Aug. 14, and students, teachers, and staff are ready for a fantastic year! It’s not too late to sign up for fall. 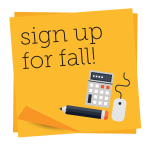 Fall is a great time to get ahead, make up a credit, take a course that is not offered at school, or satisfy your online graduation requirement. Check out our featured courses and set your schedule today! Want to connect with other FLVS students and make new friends? Club applications are now being accepted for the 2017-18 school year and can be found here. FLVS is hosting a Virtual Student Club Rush on Monday, Aug. 28 from 6-8 p.m. Join us Aug. 28 to learn about the many clubs offered to FLVS Full Time and FLVS Flex students here. Hope to see you there! Did you know that five students from the 2017 FLVS Full Time graduating class received a scholarship? The FLVS Foundation, funded through generous gifts from the McCoy Federal Credit Union and several donors, awarded five seniors $1,000 to the college or university of his/her choice. 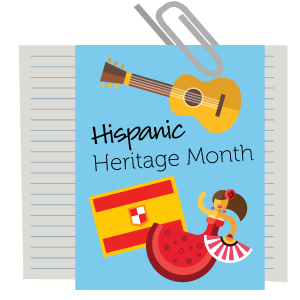 Florida Kindergarten-12 students are invited to participate in the 2017 Hispanic Heritage Month contests. The theme for this year’s essay and art contests is “A Recognition of the Role of Hispanic-Americans in Shaping Florida Today.” Students are asked to share how Hispanic Floridians have impacted our state’s history and culture. All entries must be mailed or submitted online and received by 5 p.m. Sept. 12. More information about the contests, including entry forms and guidelines, can be found at www.FloridaHispanicHeritage.com. As you can see, there’s lots happening already! 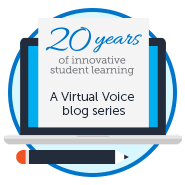 Subscribe to The Virtual Voice blog to help keep you connected and in the know. This entry was posted in Educator Edition, Homeschool Edition, Parent Edition, Student Edition and tagged #IAMFLVS, 20th Anniversary, Accelerated Learning, Access to Online Learning, Contests, Enrollment, Fall Online Courses, FLVS Clubs, FLVS Corkboard, FLVS Flex Elementary, FLVS Student Activities, FLVSK5, Hispanic Heritage Month, Newsletter, Online Elementary School, Online Summer Courses, Peer Counseling, Photo contest, Scholarships, School Choice, School Choice Scholarships and Online Courses, Student Activities, Student Arts, Student Success, Student Updates, Success Stories on August 24, 2017 by The Virtual Voice. I’m happy to be in your class.